Don't think I forgot about this challenge because I didn't! It is really going to take me a long time to finish but hey sticking to my resolution. Even if its at literal as this one. I really love ice-cream and I have a bunch of favourite ones. I'm just going to list my top three because I can't really pick. They are not in any order. 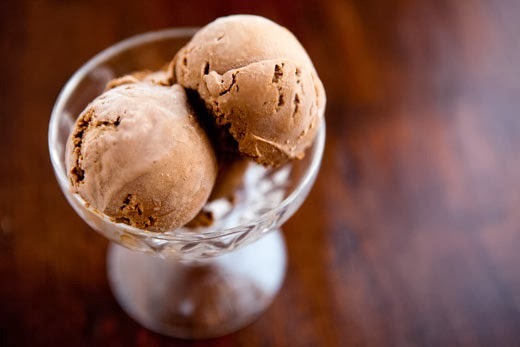 Chocolate Ice Cream. One of the basic flavours of all. Also the first flavour I ever tried. I still remember my face after trying it. When I found out this flavour existed my mouth rejoiced also my heart. This flavour is beyond my imagination. 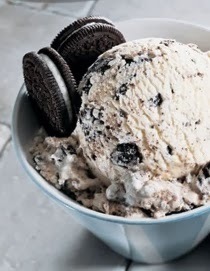 I know this sounds weird but hey I love me some Cookies n Cream! 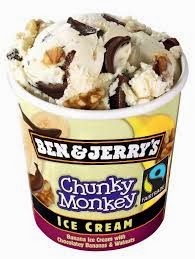 Ah Chunky Monkey. One of my new faves. I love the banana flavour ice-cream and the bits of walnuts makes it better. The chocolate chunks gives it a great crunch. I'm actually craving for this right now!